Our Fanwood, NJ showroom opened in 2018. You will find the latest styles of kitchen cabinetry, countertops, tile, flooring, fixtures, and hardware on display. See bathroom vanities, tubs, and showers featuring gorgeous tile, mirrors, and lighting. If you are looking to update your windows or doors, we also have a large display of options. The showroom also features decking, railing systems, and millwork. 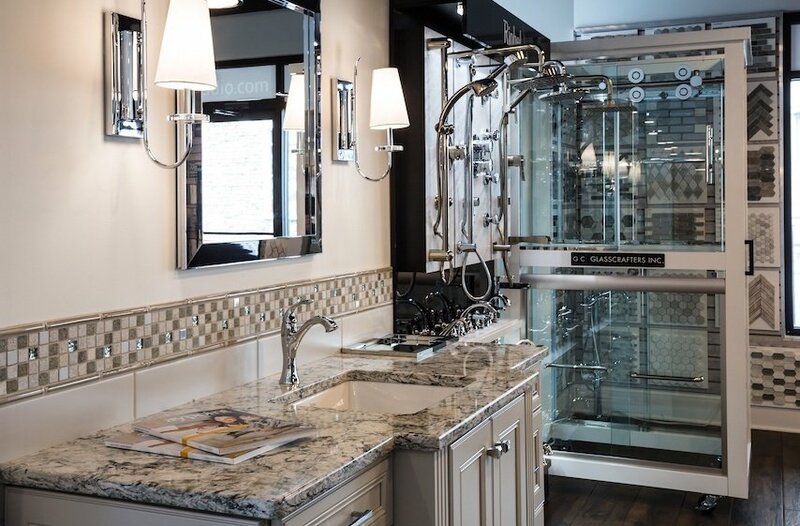 Best of all, we have knowledgeable Kitchen and Bath Designers and Sales Specialists who are available to answer all your questions and guide you through the remodeling process. Call 908-490-8890 to schedule your free design or sales consultation, or complete and submit the form below. An appointment guarantees undivided attention with one of our specialists. With a singular focus on your project, we’ll get lots accomplished. Plus, since we have everything you need under one roof, you won’t have to drive from place to place. Free parking in the municipal lot behind the showroom. The lot is accessible via La Grande Ave. or 2nd Street. 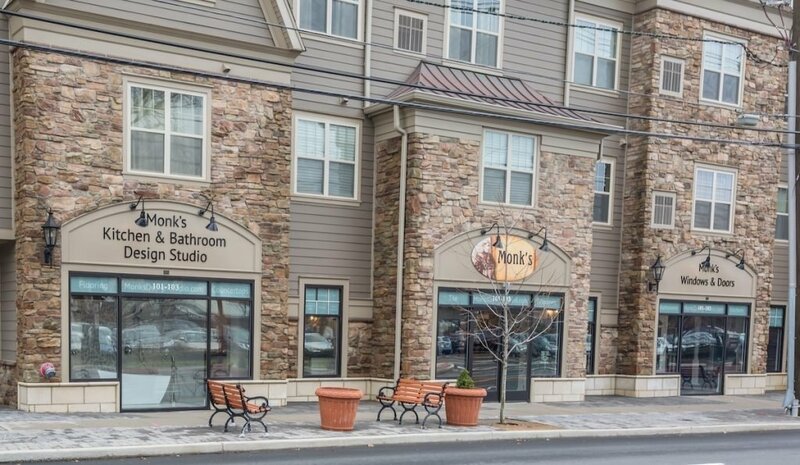 The showroom is conveniently located on South Ave. across from the Fanwood train station and next to the Railside Cafe. Take S Orange Ave/Rte 510 south to 22 W. Take the Mountain Ave exit toward Westfield. Follow the directions from Westfield below. From the Garden State Parkway, head south. Take exit 135 toward Westfield. Merge onto Central Ave. Turn left onto S Ave W. At the traffic circle, take the 3rd exit onto NJ-28 W/S Ave W. Make a left on Martine Ave. Make the first right on La Grande. Entrance to the municipal parking lot is on the right. Park here and enter through our back door. Take E Dudley Ave southeast and turn right onto N Ave W. Continue onto North Ave. Slight left to stay on North Ave. Turn left onto N Martine Ave. Turn right on LaGrande. Entrance to the municipal parking lot is on the right. Park here and enter through our back door. Take 78 W to Exit 40 toward Plainfields/Watchung/Gillette. Turn left onto County Rd 531/Hillcrest Rd. Turn right onto Emerson Ln. Then turn right onto Plainfield Ave. Continue onto Bonnie Burn Rd. Turn right onto New Providence Rd. Slight right onto Park Ave. Continue onto N Martine Ave. Turn right on LaGrande. Entrance to the municipal parking lot is on the right. Park here and enter through our back door.